Sprague's success at Richmond set in motion a real boom in the construction of new lines around the country as well as the conversion of the horse car lines to electric cars and even most of the cable railways converted to the electric cars. Sprague's success also brought many others into the field as well as those already experimenting with the electric trolley. Probably the most notable among them was Van Depoele who held some patents that closely resembled some of Sprague's work. Van Depoele went on to make some improvements, such as with the use of carbon for brushes in the motors, replacing the metal brushes that had been used previously. 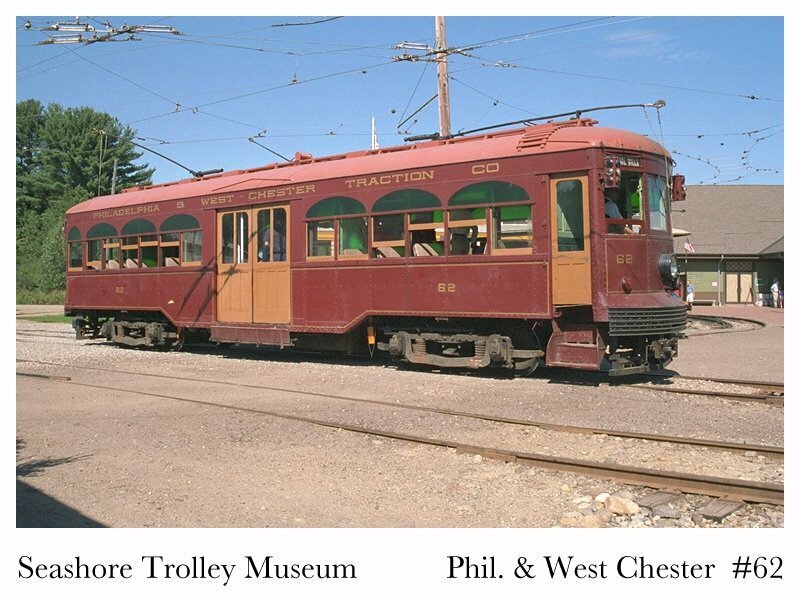 He was bought out by the Thompson - Houston Company, of Lynn, Massachusetts and they entered the trolley business and even had some success in obtaining a portion of the Boston electrification project. While there was a lot of competition there was also a lot of work. In late 1889 the Sprague Electric Railway & Motor Company was taken over by Edison General Electric Company. The Edison General Electric Company chose not only to not use the name Sprague on any of its new systems but also to remove it from some of the existing systems and soon after Frank Sprague chose to leave the company. Sprague had been involved in pioneering developments in several other areas, among them was the high-speed elevator control system and the multiple-unit control system. While the subject so far has been trolleys, it should be noted that there were also in use, some small steam engines pulling passenger cars on elevated railroads. The idea of the elevated was to keep the steam engines and their soot and smoke above the streets and the people while moving large numbers of commuters. Sprague's "MU" systems would now only allow each car to have it's own electric motors, but let them be controlled by a single operator. Now under electric power these systems not only didn't have to be run above the streets any longer, but also could now be run underground. Again, this is a subject in itself but I'll get back to the trolleys. 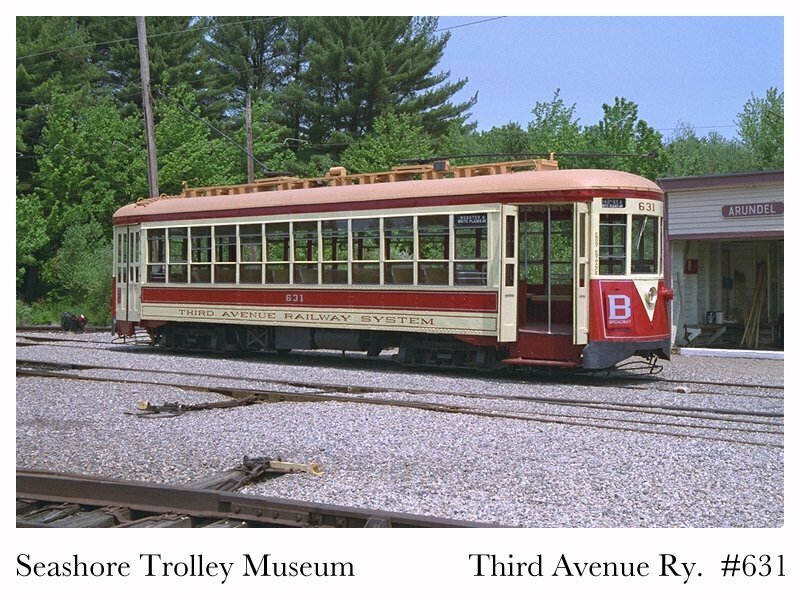 The growth of the trolley was amazing and by 1900 there were over 30,000 cars running over more than 15,000 miles of track. The early cars were often the horse cars converted to electric cars but as time went on the size of the cars grew, as did the varieties of cars. These I'll cover a bit later. 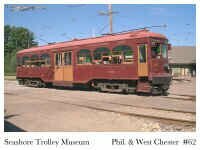 While the electric trolley was successful and did it's job well, moving within the city and most often on the city streets, there was a need for faster heavier lines to move the people between the cities and towns. The Interurban lines filled this need. These Interurban lines often had very plush cars and were quite comfortable riding. Because of their greater speeds, the interurban, once outside the city or town, generally ran on private rights of way and not on the public streets. Once in the countryside the interurban often reached speeds of 50 and 60 mph in the early years and even faster as improvements were made. The earliest lines, in the mid-1890's, were not always a success but after the turn of the century their reliability had greatly improved. While the interurban catered more to the passenger, they did carry express freight and mail and were beginning to be of concern to the steam railroads as far competition goes. The interurbans generally had lower rates and fares than the railroads and by 1917 the interurbans operated on over 18,000 miles of track. 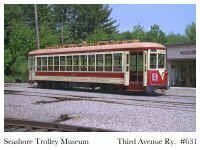 The trolley had also grown to where it had almost 45,000 miles of track and had almost reached its peak. The bicycle, the motor car, the bus and the "jitney" were all beginning to cut into the streetcar operations. The future is in question.